Above is a (bad cell phone) pic of the smaller of the 2 harness' on my factory amp. 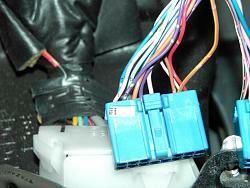 The pink/blue wire would be pin 1 (I believe?). Could you cross reference the factory diagram that you have? The pinout that you provided (thanks, by the way) doesn't match what I'm seeing on my factory amp. Or I made a mistake and I'm looking at the wrong harness. Thanks in advance for all you help, bro. Just to reiterate, I have a '94 ES300 with the factory stereo/6-disc changer. i think u have hte wrong harness, the one u need is the one that has a total of 12 wires on it, with some blank spots. Hey PureDrifter, i have couple of questions for this. 1. I have 3 12v 40amp relays and 1 12v 30amp sitting around.. will these work? 2. I am not seeing the trigger / switch setup. From reading the posts i think you need to give it a 12v connection from the switch to the relay? If you have a pic of this that would be great. 3. Could you get me the wires / clip for the 98 GS400 Nak system? 1-yes, they should, as long as all are the correct type. 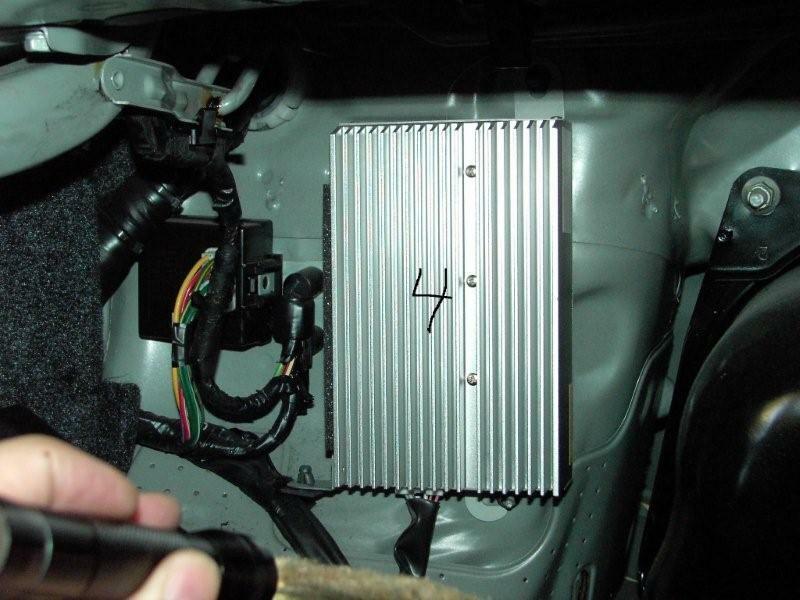 you need the physically largest connector behind hte radio headunit, that has 12pins but only 7wires coming out of it. Last edited by PureDrifter; 05-08-11 at 02:43 PM. Any tips for first gen gs with the pioneer system?? cool thanks. i'll be waiting for it..
my changer does not work, or my receiver does not want to switch over to the changer when i press CD...it stays at FM or TAPE...will this hardwire work with a messed up changer? the headunit needs to be able to switch the CD input in order for this to work properly. Is this pre Amp ? 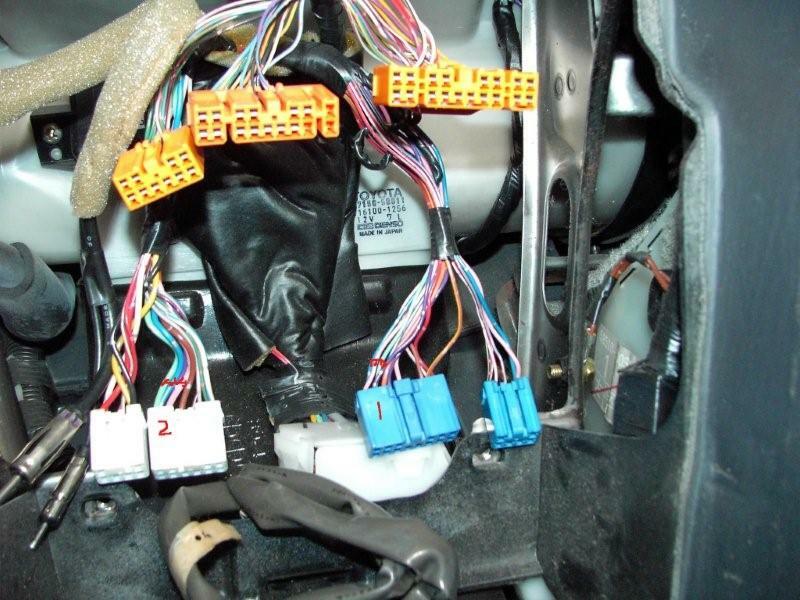 This is a picture of the connectors of my 1992 LS400 with Nackamichi, (1)I could not find an amp except for the woofer amp (drivers side trunk) there is also no amp under the cd player. I am assuming that the amp is integrated in the head unit? 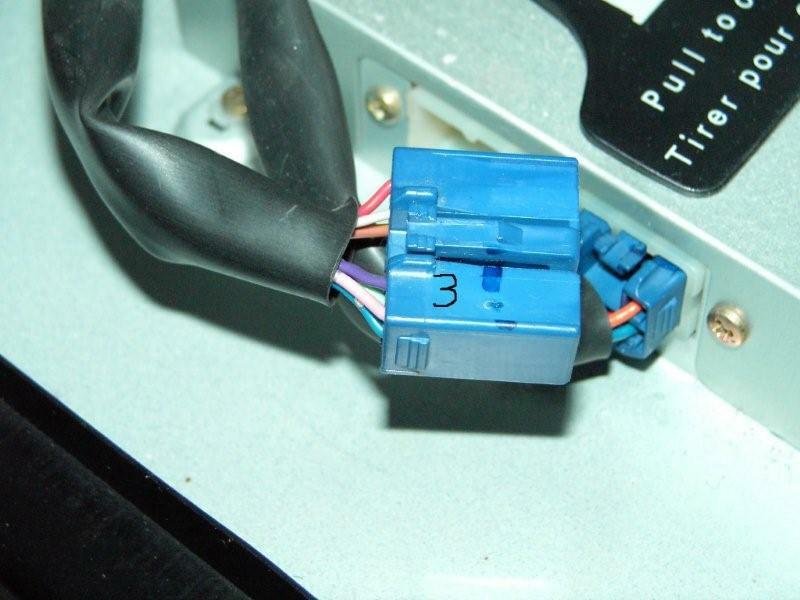 (2) The blue (marked 1) connector has the 1,pink 2,violet 6,green 5,blue pins. They could also conceivably be tapped at the cd player which has the same wires in the same config also a blue connector. Where should I apply your mod? I tried to attach more than one photo but am unsure how, I have more pictures which may help others with this mod on a 1st Gen LS400. I am doing the climate control lcd replacement so I have to remove all this stuff anyway. What would be great is adding an input to the Nak pcb while I have it all apart. If anyone has done it at the pcb level please post it. Thanks for your time Puredrifter. 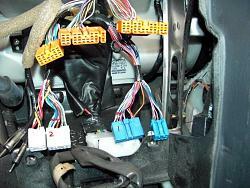 on ur LS the CD changer is wired directly to the Headunit. 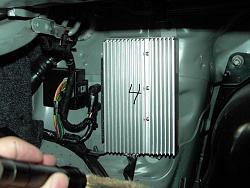 so to intercept the signal u could cut either behind the headunit or behind the CD changer. CD changer u want the big connector that you marked 3.
headunit u want the 14pin (biggest) connector that i think is marked as 1 (i think thats it, assuming the wires above it are for the AC controls. I spent two hours writing the pinout in paint and its too small to read !! Here is a closeup of the HU connecter it goes to the changer I believe, with the 1 Pink Cdr+(which looks white in the picture),2 Violet Cdl+,5 Blue Cdr- ( which is labled L in the wiring diag),6 green Cdr+,. As soon as we find out where to tap we will get at her. this is for the CD changer connector behind the HU. I need your help, I need your help. I am ready to install the device but I have ZERO clue how and were to connect some wires. I read your instruction on your other CL link but I have some wires that I have no clue where they go??? Green is pin 7 and blue is pin 8 in this picture. Not 5 and 6 as I marked them. Yes, Purdrifter this is the connector to the head unit, thanks for the correct pinout, I was getting confused, I think its old age.